I didn't expect to have a fashion show at Hampton Court. 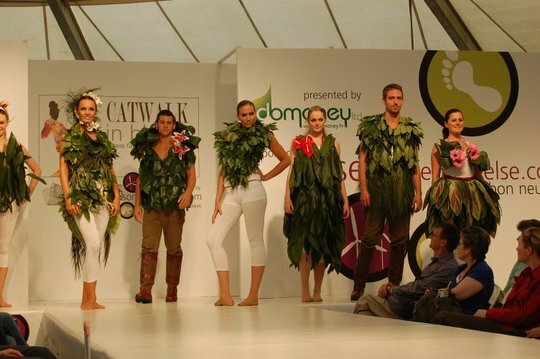 These outfits were made from real plants! This photo was taken at Hampton Court Palace Flower Show.